Clicking on Enter API Info when setting up an Oracle Eloqua integration results in an error. Log in to Eloqua and navigate to Settings (gear icon) > Users. Click on the User you are setting up the integration with in the menu on the left. If API Users does not appear under Selected Security Groups, add it from the menu on the left and try setting up the integration again. 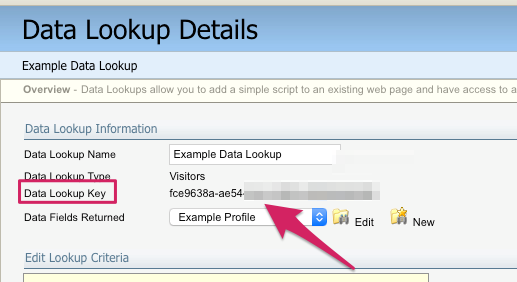 If the User was already in the API Users Security Group, or if adding the User to that Security Group did not resolve the problem, check that you have entered the Data Lookup Key correctly. Click on the in the menu on the left. Copy this value and return to Uberflip. Try setting up the integration again by pasting the value directly into the Data Lookup Key field in the Oracle Eloqua API Info window. If re-entering the Data Lookup Key did not resolve the problem, check that the credentials you are using to generate the API key are correct. Type in the Company Name, Username and Password exactly as you are entering them into the Generate API key window in Uberflip, then click on Sign In. If you are not able to log in, check that the credentials you're entering are correct, and reset your password if necessary. 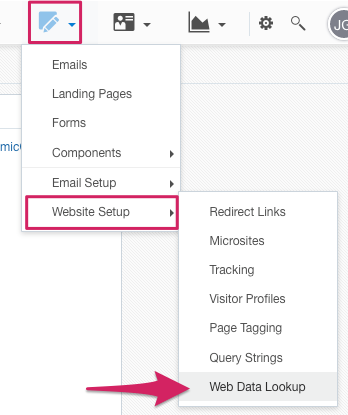 When you are able to log in successfully on the Oracle Eloqua website, generate the API key in Uberflip again by clicking on Generate in the API Info window, then entering the same credentials and trying to set up the integration again. Tried all the solutions and still having trouble? Contact Uberflip Support for help.